So excited to be on the shelf of all three of the New Pioneer Food Co-op Stores in Iowa City, Coralville and Cedar Rapids. New Pioneer Foods Co-op is locally owned natural foods grocery retail that we have long respected for their environmental stewardship and values for local and organic foods. 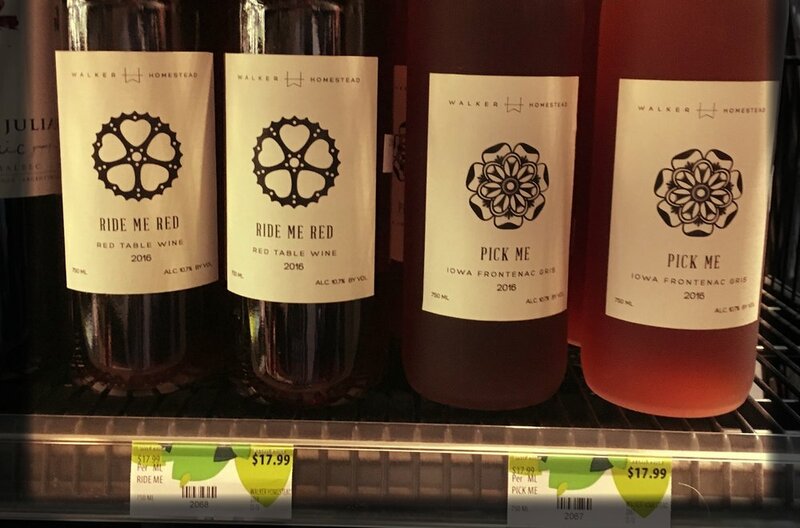 We will be sampling Walker Homestead wines at their Friday Night Flights from 4:00-6:00 pm February 2nd. Come shop local. Come sip wine. We look forward to seeing you in the stores!